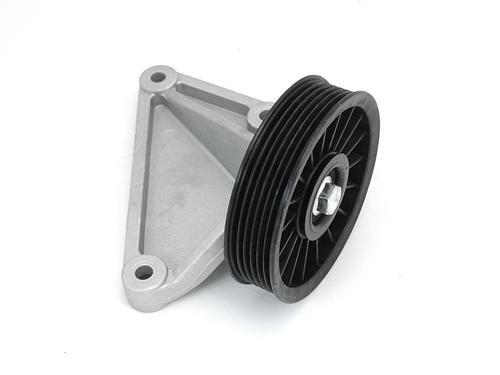 This pulley has a factory style bracket appearance to keep your engine bay looking clean! This is a factory style A/C eliminator bracket and pulley, also referred to as an A/C bypass pulley for your 1994-1995 Mustang 5.0L. This part bolts directly in place of your existing A/C compressor and reduces drag on your engine, creating more power.